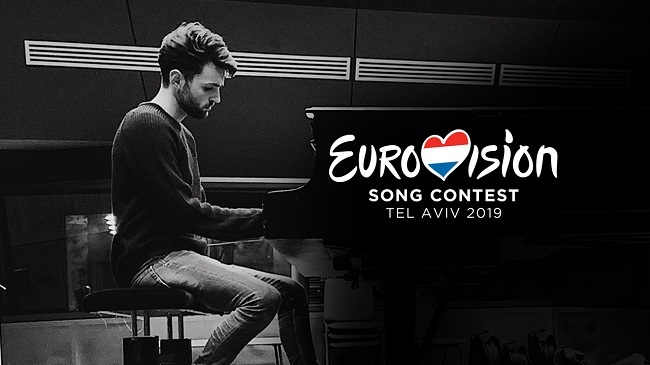 Duncan Laurence is representing The Netherlands at Eurovision 2019! Sooner than expected, Dutch broadcaster AVROTROS have gone out with the news as to who’ll be representing The Netherlands at the Eurovision Song Contest 2019. They have chosen: Duncan Laurence! These past years, A-level artists with huge name recognition took part for The Netherlands. That doesn’t go for me but that’s the beauty of it: there are many young musical talents in The Netherlands. My participation proves that you could, all of a sudden, get the chance to show what you’re worth on a stage as big as that. I’m very proud that I’m gonna represent The Netherlands and I’m gonna give it my all! Eric van Stade, General Director of AVROTROS and member of the selection committee says that they were so blown away by the song and that it’s so powerful that they unanimously decided to send Duncan with this entry! Duncan is very special. The stuff he writes is very international. It’s authentic. Everything about it is touching, I think. Furthermore he also has the personality that fits a huge adventure like this. His priorities are always with the music. The Eurovision entry itself and other details will be revealed on Thursday the 7th of March! What is your first impression of Duncan?